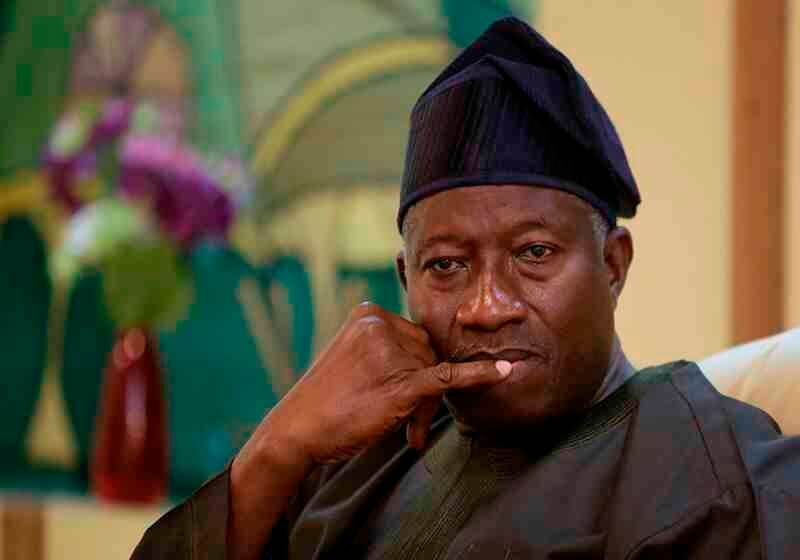 Former President Goodluck Jonathan image via the Daily Post, Nigeria. The Indigenous People of Biafra, IPOB, has said that it was not interested in who becomes president or vice under any political platform in the 2019 general election. The group said it was only interested in referendum for Biafra restoration. The IPOB said the ‘horse trading’ going on for the position of vice presidential candidate among South East politicians was disgraceful. It said the development was an indicative of their hopelessness and self aggrandisement at the expense of the collective advancement of the people. IPOB’s Media and Publicity Secretary, Emma Powerful, said this in a statement on Tuesday. He said that all the people of Biafra want is a referendum, adding that Biafrans must decide whether they wish to continue staying in Nigeria or not before any election can be conducted in Biafraland. Powerful’s statement read, “Those irrationally jubilating in the South East and South South over the PDP nominee must remember it was Atiku, Saraki, Obasanjo, Tambowal, Kwankwonso and others that conspired against Jonathan in 2015 to put a Fulani man in power. “Now Jonathan is gone, the big Fulani guns that abandoned him to join APC to ensure the loss of his presidency, have now jumped out of APC into PDP to overrun the east. “We wonder why people will forget so easily, especially South East and South South people. “The hidden agenda Fulani doesn’t want people to understand is that they want to continue ruling Nigeria with Jubril from Sudan or another Fulani in PDP. “They have succeeded in replacing their late hitman Mohammad Buhari with Atiku Abubakar to continue their Fulani agenda”. “We view with utter disdain and sadness the macabre dance of shame being exhibited by some elements from the east over the emergence of Atiku Abubakar. “These shameless politicians, typified by the institutionalised bundle of treachery abundant in Ohaneze Ndigbo ideology, have reared their ugly heads once again in the never ending cycle of humiliation and suffering for Biafrans in Nigeria. “If people can forget with such ease that Atiku Abubakar is yet another Fulani Muslim with a major stake in the murderous tendencies of Miyetti Allah a.k.a Fulani herdsmen, then there is reason to question the sanity of those that claim they are political leaders in the south. “Those irrationally jubilating in the South East and South South over the PDP nominee must remember it was Atiku, Saraki, Obasanjo, Tambowal, Kwankwonso and others that conspired against Jonathan in 2015 to put a Fulani man in power. “The emergence of Alhaji Atiku Abubarka did not come as a surprise because we the Indigenous people of Biafra (IPOB) ably led by Mazi Nnamdi Kanu are well aware and informed on the antics of the Fulani caliphate with their jihadist plans to perpetuate the suffering and conquest of the rest of Nigeria particularly the former Eastern Region. “It’s a shame that Ohaneze Ndigbo and eastern politicians are still ignorant of this fact but they claim they are learned. “How quickly so-called leaders of the east have forgotten that it was Buhari that truncated the guaranteed Ekwueme presidency with his anti-east military coup of 1983. “It was the same Buhari that killed civilians and blackmailed another easterner Goodluck Jonathan out of office, using the formidable might of global Islamic brotherhood led by Obama,” the statement stated.